Google’s focus on Artificial Intelligence and Machine Learning are incredible. Since the introduction of both of these concepts, the search giant is trying to integrate AI into more and more of its product to enhance usability and user experience. On the second day of its Annual Cloud Next conference, Google made a number of interesting announcements related to AI. They have unveiled a new set of AI tools and services to promote the usage of AI and machine learning through easier to use pre-built models while also proving the required tools to advanced developers to builds their own custom models. Google has launched the beta version of the company’s new AI platform. Earlier, the AI enthusiasts had to depend on various third-party tools and services for finishing their products. But with the new platform, Google is offering the developers and data scientists an end-to-end platform for building, testing and deploying their own models. The platform has been built using a variety of existing and new products that will allow you to build a full data pipeline to pull in data and label it with the new built-in labeling service. After that, you can either use existing classification, object recognition, entity extraction models or use the tools like Cloud Machine Learning engine or AutoML to train and deploy your custom models. 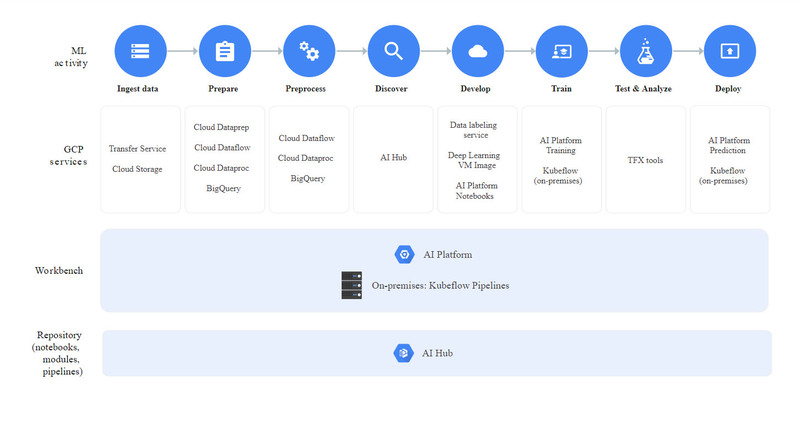 The AI Platform is this place where, if you are taking this terrifying journey from a journeyman idea of how you can use AI in your enterprise, all the way through launch and a safe, reliable deployment, the AI Platform help you move between each of these stages in a safe way so that you can start with exploratory data analysis, start to build models using your data scientists, decide that you want to use this specific model, and then with essentially one click be able to deploy it. The company has also announced several improvements in the Cloud AutoML tool. If you are unaware, it’s an official tool used to automate model training for developers with the limited Machine Learning experience. 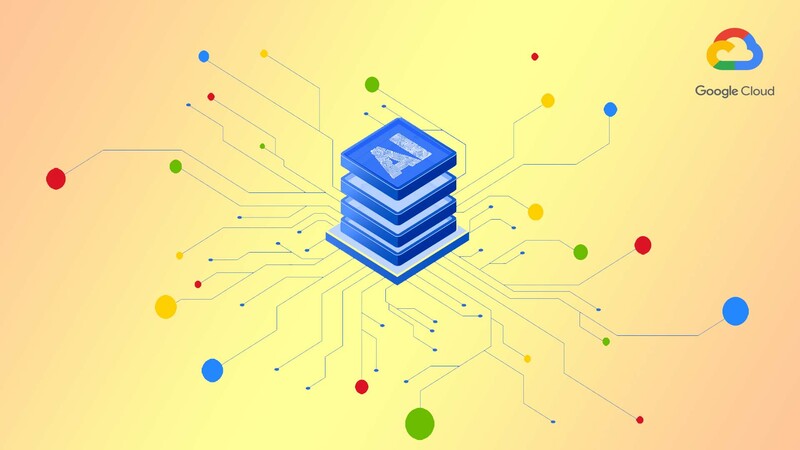 Google has introduced AutoML Tables that takes existing tabular data from Google’s BigQuery database or from a storage service and automatically develops a model to predict the given column’s value. Also, another new feature is AutoML Video Intelligence, currently in a beta stage that can automatically annotate and tag video using object recognition technology, classify video content and make it searchable. Lastly, the company also launched a beta version of AutoML Vision which is used for object detection in photos. Talking about the other announcements, the company also launched the beta versions of its custom entity extraction and custom sentiment analysis services. These will help enterprises to pull out specific information from large unstructured data. Coming to documents, Google announced beta versions of its Document Understanding API. This service will be used to convert a scanned page into a machine-readable text and then people can extract data using Google’s other machine learning services. Also, the search giant launched a beta of its Contact Center AI to offer complete AI solutions like Dialogflow and Google’s text-to-speech capabilities to allow its users to build a virtual agent system. This service is already used by popular names like Twilio, Vonage, Cisco, Five9, Genesys, and more. Also Read: How to Find Out Everything Google Knows About You? Google knows that many companies struggle to combine all of these tools and services into one platform as per their need. Thus, they have also launched Google Cloud Retail, an AI solution built using Vision Product Search, Recommendations AI and AutoML Tables. Google is also planning to offer more such solutions inthe future too.